Despite failing cowLARP, our luck is looking up! 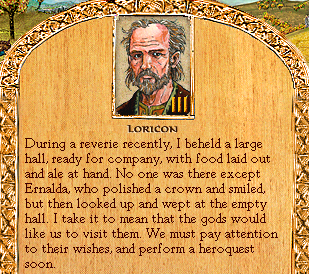 And before I get a chance to act on reviving Enerin/contemplate the horrible timing of this "do a heroquest now" omen, another event happens! Progress on the new town is going well. It should be finished by next season. -Hire shamans to attract benign spirits to the town. -See to it that members of your tribe profit from building efforts. 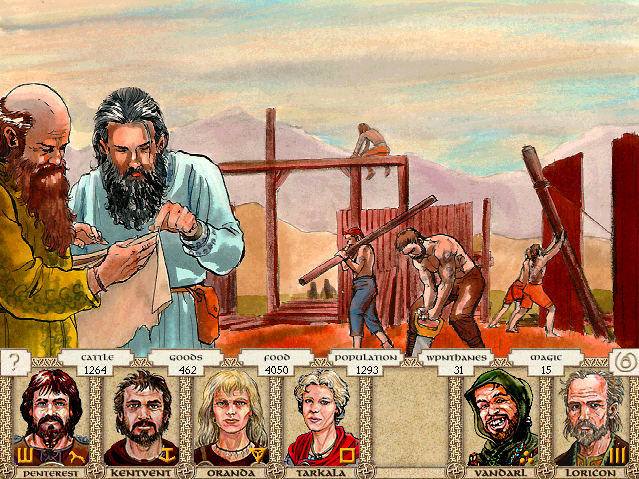 -Send delegations to Heortland to find craftsmen and artisans to live in the new town. -Send war parties to clear the area of bandits. 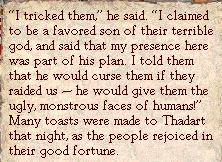 The other kings are already extorting gifts from the laborers, and the thanes who wish to use them. If we try to get our fair share, they will only resent us. Hire shamans to bring good spirits to this town. They will drive out any bad spirits who wish to live here, and bring us luck. 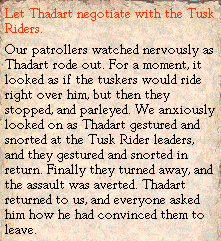 Since there are no bandits hereabouts, it would be foolish to go chasing them. This town will bring peace, if we let it. Are we sure that this town was a good idea? It will be hard to recruit artisans, because Heortlanders have been fed many false rumors about us. People here know this, and will not blame us if we try and fail.